The newest idea in the soil health craze is likely stirring plenty of coffee shop banter. Planting corn, soybeans, and other crops into a living cover crop that is often three to five feet tall—a practice known as planting green—challenges the age-old image of a good seedbed. Planting green advances the already unique idea of planting into the residue of a previously killed cover crop. However, instead of killing the cover crop a week or two prior to planting, it’s allowed to grow until planting—or even days or weeks later. A recent Penn State survey of no-till growers revealed a multitude of reasons some were already planting green, including extending erosion protection, managing soil moisture during planting, enhancing soil organic matter levels, and providing an alternative habitat for slugs—a frequent pest in no-till systems. At various soil health and no-till conferences this winter, Hill and other growers who’ve gone green shared their advice on the practice. “We also have a crop roller because if planting is delayed until the rye or barley is over 18 inches high then the shading will hamper the corn, so we roll it right after planting,” he adds. 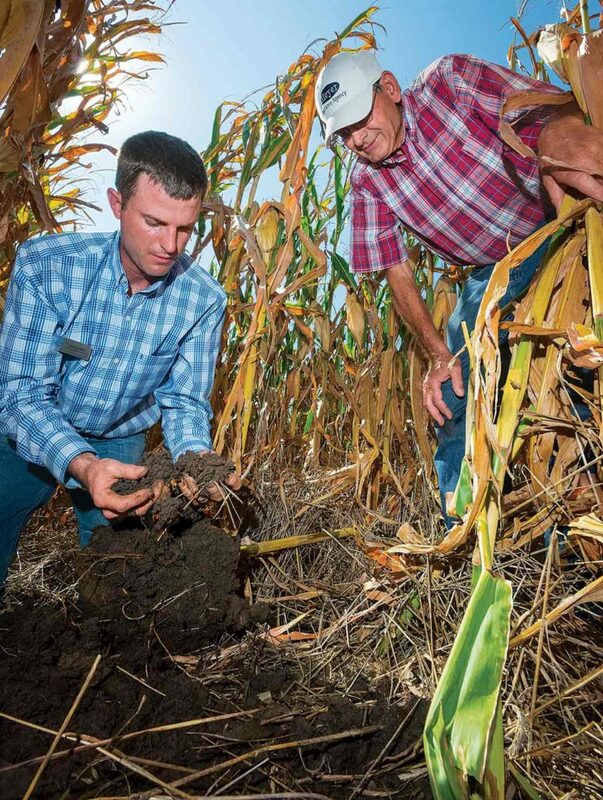 Nebraska farmer Ron Meyer (right) and Nebraska NRCS soil health specialist Aaron Hird evaluate soil conditions in a field of corn planted green into a 4-foot tall rye cover crop. Common mistakes. Holtwood, Pennsylvania, farmer and Cover Crop Coach Steve Groff (www.covercropcoach.com) has been planting green for decades and offers advice on some common mistakes. “Don’t do the whole farm the first year, and start with soybeans—-they’re more forgiving than corn. Also, a lodged cover crop is a real problem. Know the fertility level in your fields and don’t seed more than 30 pounds per acre of cereal rye,” he says. Groff adds that seeding too shallow is also a common problem, especially if the cover crop is rolled prior to planting. “The layer of thatch will affect the planting depth, so use plenty of down pressure. I like to use heavier blades on the planter openers and eliminate the no-till colter, especially with air or hydraulic down pressure. Fine tuning. One surprising problem is that pollen from the flowering rye cuts off airflow to the radiator of the planter tractor. “You can solve this by planting or rolling in the morning when foliage is wet, or by planting triticale, but we may just have to live with some things,” says Groff. Lane adds that proper fertilizer placement is critical—he puts 100 lbs, per acre of nitrogen 5 inches beside the row and 5 1/2 gallons of 8-19-3 starter under the seed. 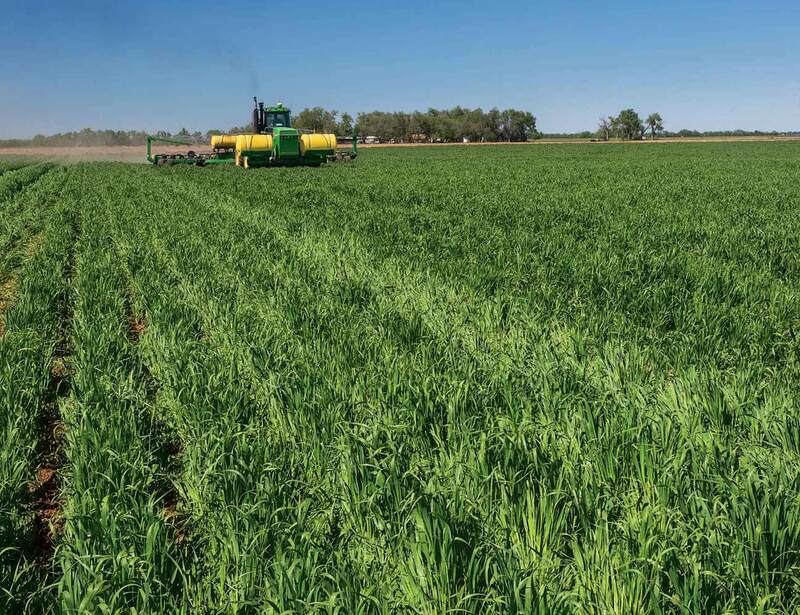 “Planting green may not be for everybody, and there will be some bumps along the way, but the benefits to weed control, moisture savings, and soil health are more than enough to keep us on board,” he says. A bit of wine for gourmet beef.